Shep Hyken is amazed by the customer service at the Crowne Plaza in Lansing, Michigan. This is what he learned from the experience. 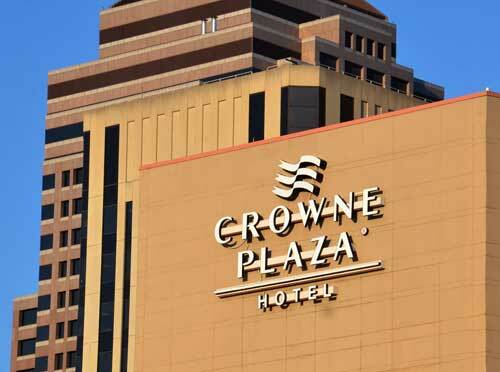 I’ve stayed at many Crowne Plazas in the past, and they are nice hotels, however, the experience at this one was quite unique. It was a personalized experience, and the way they went about it is an excellent lesson we all can learn from. First, the concept of personalization is to make the customer feel like the experience is somewhat unique to them. If I’ve stayed in a hotel and made a special request, the hotel may note that in my record, and the next time I stay at that hotel, they might remember the request, so I don’t have to ask. Some may find what the Crowne Plaza team did to be a little “spooky.” I didn’t. If anyone posts something on a social channel like Facebook or LinkedIn, they should anticipate that others will see it. And, using the information posted for the purposes of creating an amazing and personalized customer experience, well there’s nothing wrong with that. A great experience indeed. If they made it a process to check on every guest staying with them and did that little extra to emotionally connect as in Shep’s case … and if each such guest shared his story with ten people, imagine the fan following for the hotel.